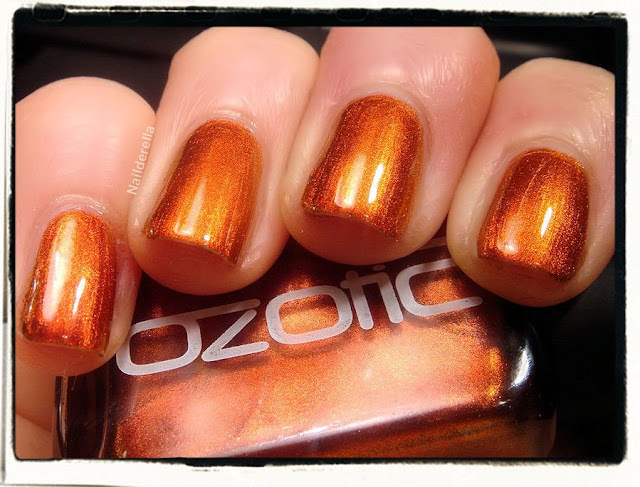 I go on with my Ozotic swatches! Today I have Ozotic 520 to show you. 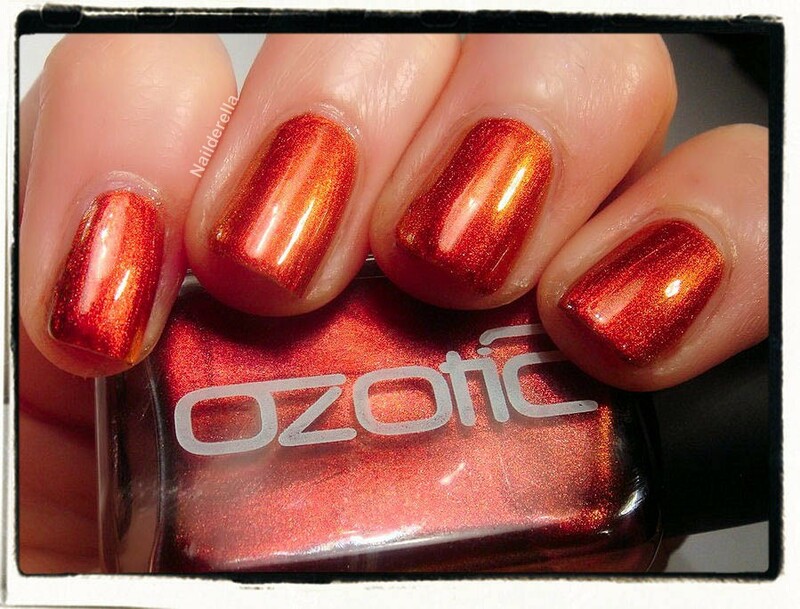 It's certainly one of my favorite Ozotic! 520 is described as a multichrome nail polish that shifts from rusty burgundy to red, to amber, to gold, and to orange. Final verdict: I LOVE this polish from the deepest of my heart! 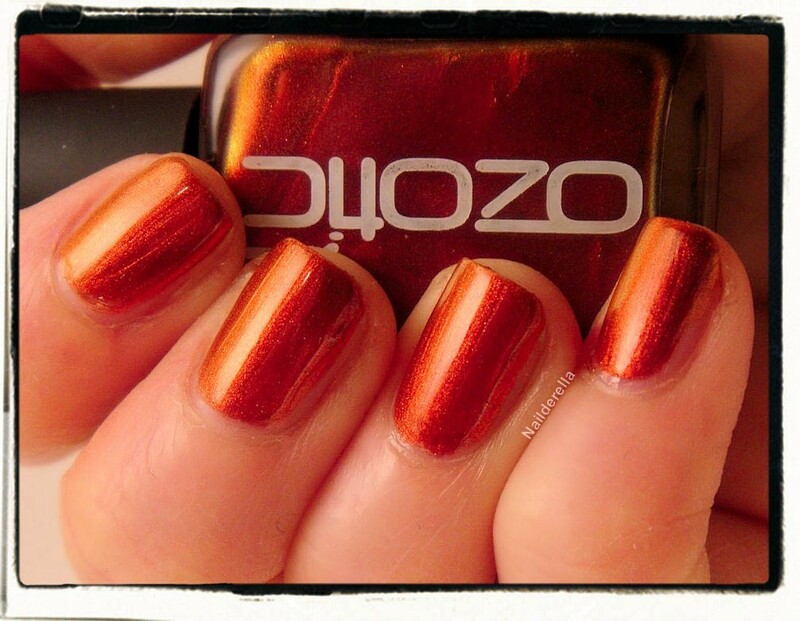 520's main base color is coppery red, which can shift to amber, gold, and orange. It's really stunning and it kinda reminds me of autumn leaves! 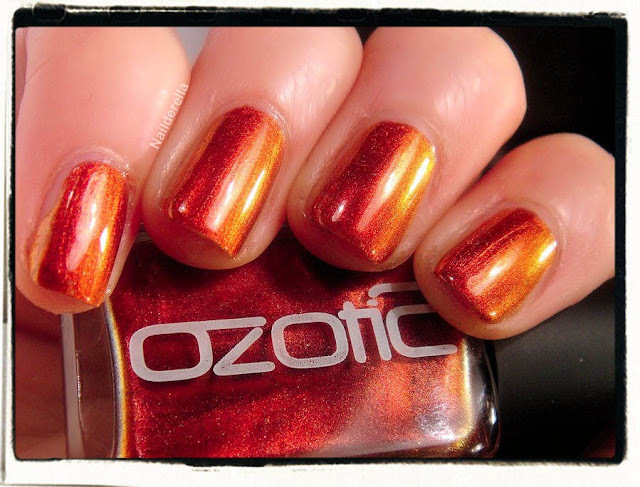 The multichrome effect is a little less dramatic than in 504 or 505 or 506, but it's still present and gorgeous! 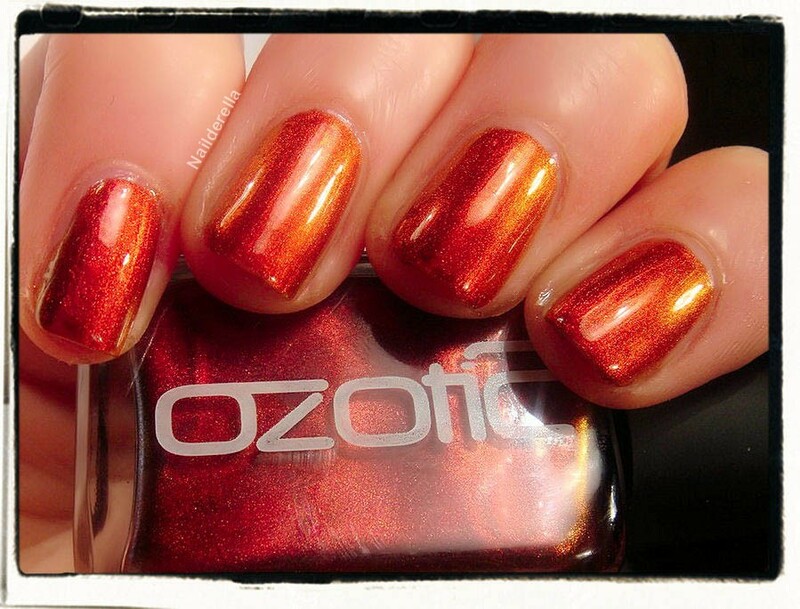 Its formula was great, not too thick nor too thin and it needs only 2 coats to be fully opaque! So here I just applied 2 coats over bar nails (over just a regular clear base coat should I say).